Every region, religion, tribe or population has attire distinct to itself, which is a clear proclamation of their beliefs. For Muslim women it is either the Burkha or the Hijab. A hijab is a veil that covers the head and the chest and is particularly worn by Muslim women after puberty in the presence of men other than their family members. Though not mandatory in all countries, some form of hijab is practiced by Muslim women mostly. The word hijab literally means a screen or a curtain. The burkha is an enveloping outer garment worn by Muslim women over their outer clothing in public. The face veiling portion is usually made of semi-transparent material or is netted to facilitate visibility. In other styles, the niqāb of the veil is attached by one side, and covers the face only below the eyes, allowing the eyes to be seen. The burkha and hijab are worn by Muslim women as a symbol of modesty, privacy, and morality. Most Islamic legal systems define this type of modest dressing as covering everything except the face and hands in public. Many women do not wear this after the first year of marriage if their husbands do not mind. Different colours and styles are indicative of different tribes and regions. These monsoons, shop for beautiful burkhas and hijabs only on Craftsvilla. With our monsoon collection of burkhas and hijabs you just cannot go wrong. 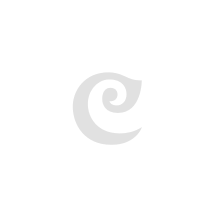 At Craftsvilla, we offer a variety of burkhas and hijabs over a range of colours and designs. We also house a number of materials as per your requirement. Shop for burkhas and hijabs online and avail attractive discounts on many designer ranges only with us!